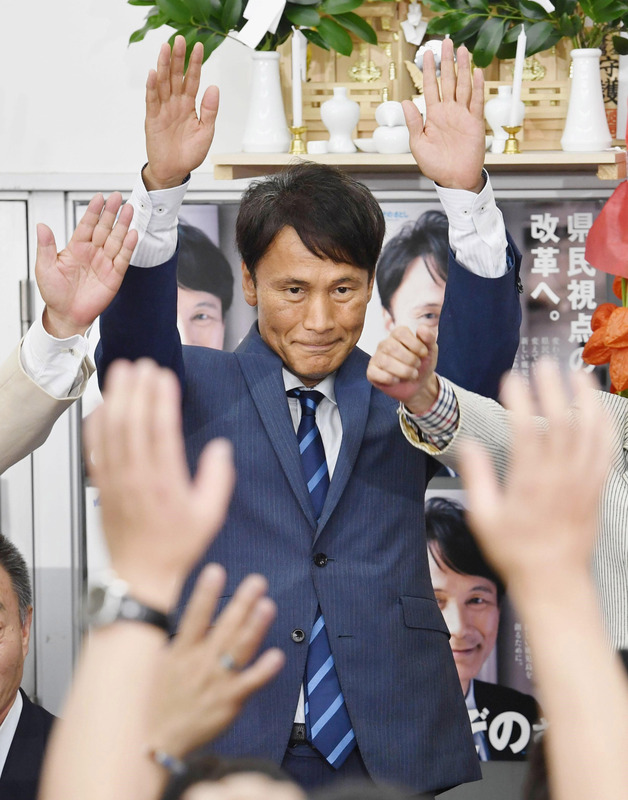 KAGOSHIMA - Anti-nuclear advocate Satoshi Mitazono was elected governor of Kagoshima Prefecture on Sunday, beating incumbent Yuichiro Ito, who agreed to the resumption of reactors at a power plant in the prefecture. “I want to make Kagoshima a prefecture that takes on challenges with a positive mindset,” Mitazono, 58, said Monday. 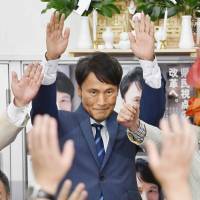 The former TV Asahi commentator ran as an independent backed by the main opposition Democratic Party and the Social Democratic Party, as well as some conservatives who typically support the ruling Liberal Democratic Party but were opposed to the incumbent. Ito, 68, with the support of the LDP and its junior coalition partner Komeito, was seeking his fourth four-year term. One contentious issue in the race was the fate of Kyushu Electric Power Co.’s Sendai nuclear power plant in the prefecture. The plant’s No. 1 and No. 2 units are the only reactors operating in the country after the government imposed tougher safety rules following the 2011 Fukushima nuclear crisis. Mitazono demanded that plant operations be temporarily suspended for safety checks in the wake of a series of strong earthquakes that hit central Kyushu in April, while Ito argued that the plant’s safety had been secured. “We will not activate any reactors the safety of which is not guaranteed,” Mitazono said on Sunday. A senior official at the secretariat of the Nuclear Regulation Authority said the impact of the active faults underneath the Sendai reactors have been adequately assessed and that the government “will not reverse” the decision to keep the reactors operating.